It's Hip 2 Serve! : FREE pint of Starbuck's Ice Cream! 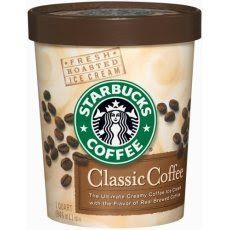 Starbucks is currently teaming up with Facebook and giving away 20,000 pints of FREE ice cream through July 19th! Over 800 coupons for a FREE pint will be given away each hour (you must be a Facebook member to take advantage of this offer). Click here (you will first be prompted to sign into your Facebook account) to accept the Starbuck's offer and you will then click "share now" where you will be asked to fill in a friend's information (or yourself?!) to receive a coupon for a free pint of ice cream.If all of the free coupons for the hour have been given away, you will receive a link for a $1.00 off coupon for a pint of Starbucks Ice Cream.